Recent Changes: Update includes 2 new features as well as several other updates and fixes. First - when sending recurrent emails users will be able to set path to CSV file and recipients will be loaded from that CSV file automatically. Second - now recurrent ?Daily? and ?Weekly? 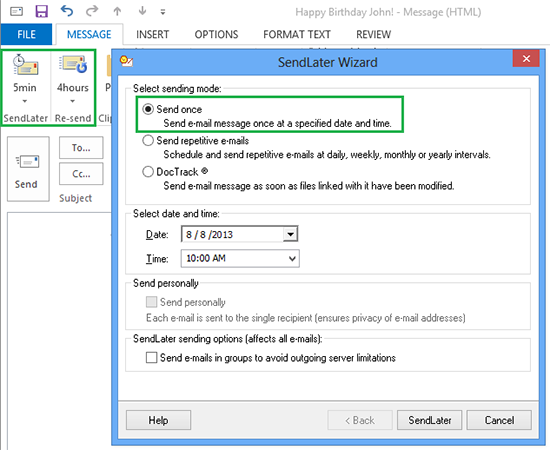 emails can be sent on custom times.